Toy Dogs make excellent house pets, and their small size makes them great for apartment living! Toy dogs are small dog breeds that are very popular pets today. Though small in stature, miniature dogs are big in attitude and quite tough. They often have courage disproportionate to their size. Despite their diminutive stature, they have strong, well-defined personalities. Many toy dogs are very good with children if they are raised with them, or well socialized as puppies. Without proper socialization, some can get agitated and snappy if provoked. Being quite small, they are also susceptible to injury if dropped. Small dog breeds require owners that can provide them with love, but they must also have basic training and given structure. Dog Breed Information: Toy dogs are Small Dog Breeds. These miniature dogs are not only extremely popular pet today, but have been popular pets throughout their history. Miniature dogs were developed specifically to be affectionate companions and pets. Some are a scaled down version of another breed. Many small dog breeds were once the prize possessions of nobility and the members of the ruling class. Bred as house pets, they have served as companions for hundreds, even thousands of years. There are many small dog breeds to choose from, and they vary greatly in appearance and personality. Some are ideal pets for small children, because they are energetic and won't overwhelm them in size. Others are more sedentary in nature and are appreciated as lovable lap dogs. Dog Care Tips: Small dog breeds make excellent house pets, and their small size makes them great for apartment living. For people who are sedentary, are elderly or disabled, or that travel a lot, they make a perfect companion. Their small size and light weight makes them easy for the elderly or disabled to pick them up. This also makes them quite mobile and easy to travel with either by car or plane. Toy dogs are great traveling companions and are readily accepted just about everywhere. Toy dogs require less space than other dog breeds, they shed less, and they eat and eliminate smaller amounts. 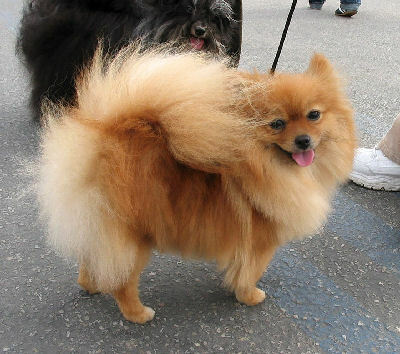 Many miniature dogs also need less exercise than the larger breeds, usually just a walk or two a day. Each breed has its own activity level. Some, like the Pekingese, have a lot of stamina and love long walks. Others enjoy spending their time as lap dogs, and content with a short jaunt around the block. If you are interested in getting a Toy Dog, it is a good idea to learn as much as you can about the breed type. Know the traits and behaviors your dog may demonstrate so you can provide the proper care, housing, and exercise for your pet. All companion dogs, no matter what their makeup, will benefit from good socialization and training.